The Most Popular Kitchen Design Layouts - Lensis Builders, Inc. When designing a kitchen, there are several options when it comes to selecting a layout. Some things to consider include looking at the original space that you’re working with as well as what you envision the functionality of your kitchen to be. If you’re designing a new home or addition, you are free to choose any design based on both aesthetic and functionality. If you’re remodeling your kitchen, you may want to increase how functional the space is by making some changes (or simply leaving it the way it is and making updates). Regardless, below you’ll find five of the most common design options and their respective aesthetics and functions. 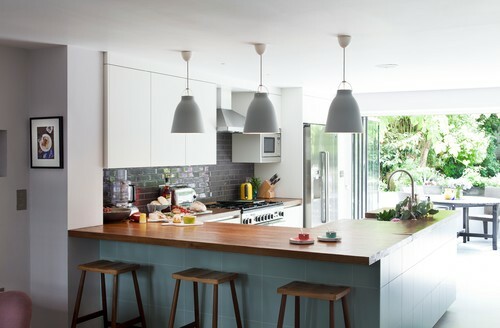 In this style, the cabinets and appliances are fixed on a single wall in this space-saving layout, which are found mainly in studio or loft spaces. If you have limited space, this may be a good option to consider. 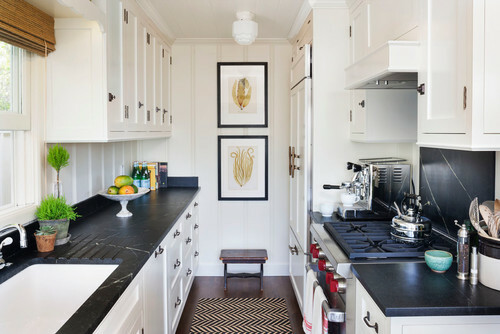 The galley style kitchen is definitely an efficient type of kitchen when it comes to the original and most important use of the kitchen: cooking. The galley layout takes its name from the galley (kitchen) of a ship or airplane. These kitchens make use of small, cramped spaces to feed tens or even hundreds of people. Lots of restaurant and commercial kitchens are designed this way to allow cooks to work in a long, narrow space between appliances and counter space. 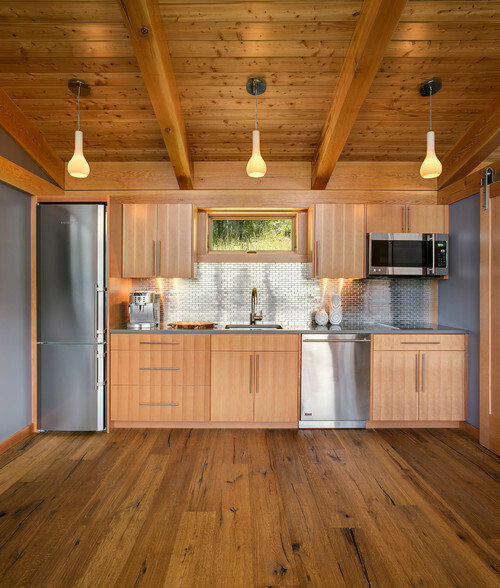 The U-shaped layout is an efficient kitchen that’s made for one person cooking in the kitchen. It’s a wide galley kitchen with one end closed off. This way, guests and are kept separate from the main area of the kitchen but is still open to other rooms of the home (which allows traffic to pass through). An issue with a U-shaped design is that it’s relatively small. It doesn’t necessarily allow you to have room for a dining table and chairs. Quick Tip: Adding an island to a U-shaped layout increases the kitchen’s functionality. 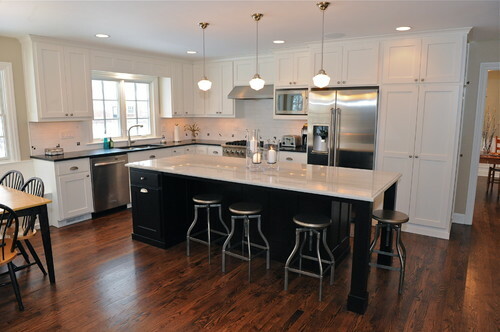 The island can be used as a surface to work on, for bar stools for seating, or for the sink or cooktop. It’s always great to allow people to gather around and socialize while the cooking happens. The G-shaped kitchen has 4 sides and its fourth side is a peninsula, which enables a lot of cabinet and counterspace. If you have a lot of area to work with, this may be a great option to consider when designing your kitchen. An L-shaped layout is made up of two perpendicular workspaces, which creates a natural work triangle. Quick Tip: We recommend adding an island to this style of kitchen, as it can provide additional counter space and make the room appear more compact and cohesive.